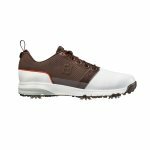 Experience ultimate comfort with ContourFit golf shoes for men! Special construction allows for the ultimate in underfoot comfort and flexibility. Call us on (06) 364 6468 to get the best NZ price on the Footjoy Contourfit. 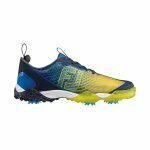 Energize men’s golf shoes deliver a performance ultralight feel with athletic styling. This easy care synthetic upper offers outstanding waterproof comfort, breathability, and durability. EVA (ethyl vinyl acetate) This cushioned fit-bed provides lightweight cushioning underfoot. EVA does not take a set, so the cushioning will remain the same for the life of the shoe. Call us on (06) 364 6468 to get the best NZ price on the Footjoy Energise. Call us on (06) 364 6468 to get the best NZ price on the Footjoy SuperLites XP. Engineered to deliver an incredibly flexible and comfortable ride for those players seeking the best-in-class mobility footwear. 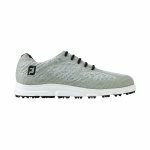 FreeStyle 2.0 men’s golf shoes ensures tremendous traction and ground contact while allowing your feet to roll through your shot. Lightweight performance mesh delivers incredible comfort, breathability and durability, while providing two year limited waterproof protection. The F.R.O.G.S. outsole (FJ’s Revolutionary Outsole Grip System) is constructed utilising SoftMaxTM molded translucent rubber delivering soft cushioning and complete mobility. The Pulsar cleats feature dynamic cushioning and green-­-friendly traction. Call us on (06) 364 6468 to get the best NZ price on the Footjoy Freestyle 2.0.